RM Sealers » News & Events » Uncategorized » Pro2Pac 2019. 18-20 March 2019, Excel Exhibition Centre, London. Pro2Pac 2019. 18-20 March 2019, Excel Exhibition Centre, London. The complete processing & packaging event for the food and drink industry. 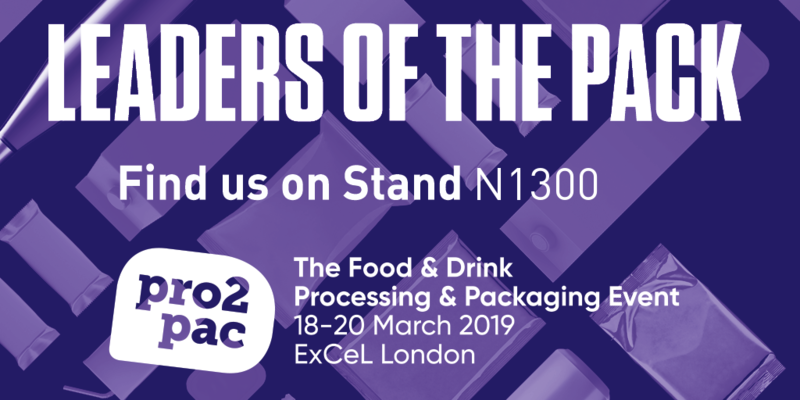 Pro2Pac provides an unrivalled opportunity for food & drink brands to differentiate their company’s offering – be it their bottles, branding, or take-out boxes – by finding the latest innovations in packaging, processing and printing all in one place. Taking place alongside IFE (The International Food & Drink Event), Pro2Pac is the meeting place for everyone in the food & drink supply chain – an influential biennial gathering of producers, manufacturers, technologists and design specialists.